1. Native Protein extracted from animal cells, human or animal tissue, bacterial, etc.. recombinant proteins, serum, cell culture supernatants and cell lysates, etc..
2. Measurement of total protein in the samples. 3. Western blot detection: sample separation by SDS-PAGE, wet transfer, incubation with antibody, ECL coloration, film exposure. Note: The loading control antibodies are provided free of charge. 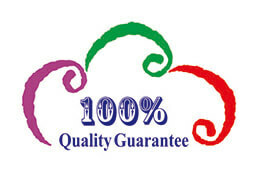 We can order the primary antibodies for customers upon request. 1. Protein: more than 200 ug per sample; tissue: more than 100mg per sample; serum: more than 50ul per sample; cells: more than 1×107 per sample. 2. Store at -20 °C, avoid repeated freeze/thaw cycles. 1. 1-15 samples could be loaded on each membrane. 2. The loading control are provided for free, including Beta-Actin, GAPDH, Lamin B1, Beta-Tubulin, etc.. Clients can choose one of them to be used in the experiment. 3. 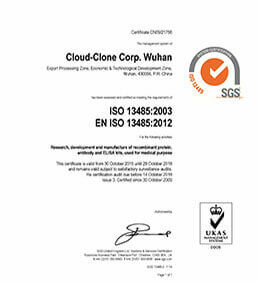 The secondary antibodies, other reagents and equipments used in the experiment are offered by Cloud-Clone Corp..
1. Fresh samples, positive controls (optionally). 2. Primary antibodies for target protein. 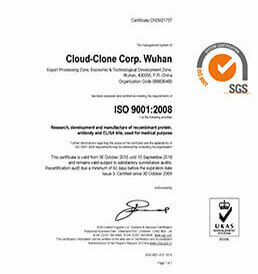 Cloud-Clone Corp. can provide more than 10,000 primary antibody to meet customers' requirements. 1. Photographic film of Western blot or scanned pictures. 2. Preliminary quantification analysis of target protein in the samples. 3. The comprehensive protocol of the experiment.